Valaida listened hard. 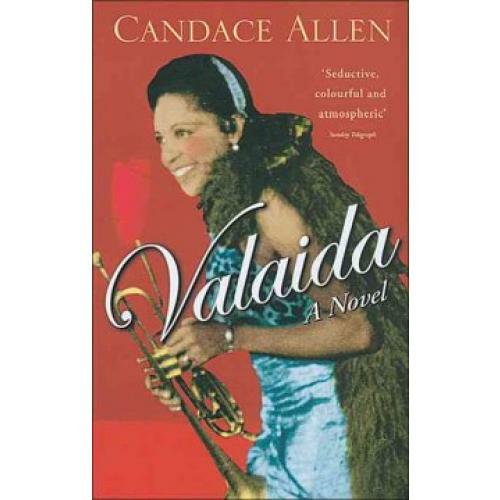 After the melody's intro and Earl's left-hand-to-right-hand cascades of piano sound, her space opened, and Valaida jumped in. She blew. She entered the music, saw the chords, embellishes, the references to other songs as plain as day behind her eyeballs, and she used them. She jumped from bar to bar like a benzine-fueled billy goat. She didn't miss. She hit her peaks and whinnied in triumph. In the nebular light of the Terrace's mirror ball, she flew with the men who had backed Louis Armstrong at his best.' From a childhood in Chattanooga, to a debut at one of the swankiest clubs in Harlem in its heyday; from touring in the Jim Crow south, to showcasing in Shanghai and London in the 30s, the story of Valaida Snow is breathtaking. With a storyteller's ear and a blessed ability to transport her reader, Candace Allen has written a sweeping tale of love, degradation, laughter and longing - with a trumpet accompaniment you swear you can hear.